We've stayed on in Brooklyn longer than expected, although it doesn't quite seem long enough. The nieces are excellent as is the company provided by their parents. 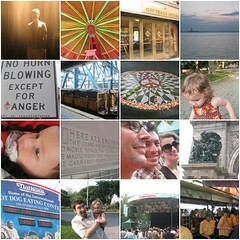 Not pictured: Brooklyn Museum, lots of walking, the Paley Center, bbq with the friends, the Strand, and Pinkberry.